Salmon — Yama Seafood, Inc. Believe it or not, there was no salmon sushi nor salmon sashimi in old days. The reason was it had worms. Salmon farming, however, changed all that. In controlled environment, farmed salmon is worm free. Norway is the first country that succeeded salmon farming in early 80’. At same time, salmon was served as sashimi or sushi in Los Angeles area. The most popular salmon is Atlantic Salmon (Salmo salar), farmed in Scotland, Faroe, Canada, Norway and Chile. It is perceived that quality of salmon follows in that order as Scotish salmon is top. But quality also depends on time of year it is harvested and practice of particular farms. Having said this, we do not handle Chile. 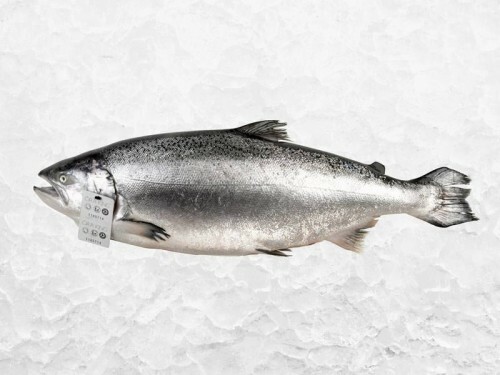 Farmed King salmon comes from New Zealand. It is not as fatty as Atlantic salmon. But very distinctive. Your customers may enjoy wholesomeness of this fish from garden variety of Atlantic salmon everyone else offers. Wild salmon is seasonal. We offer Sockeye salmon including famed Copper River salmon, Coho salmon (Silver salmon), Cham salmon including Japanese Akizake, Steel Head and Trout.